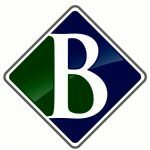 Boone & Associates, PC has been providing tax and accounting services in Omaha for over fifteen years. Their services include small business accounting, tax preparation, payroll processing, bookkeeping, bank account reconciliations, QuickBooks support, and more. Work For Boone & Associates, PC? Claim This Page.